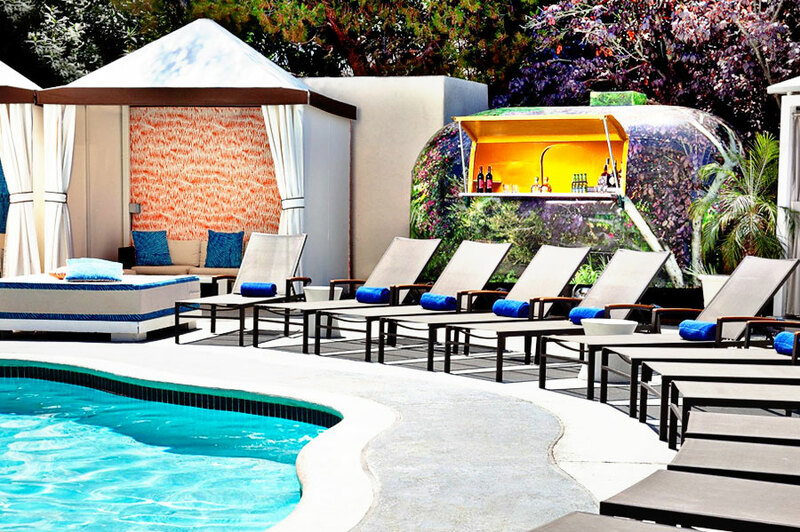 Take a dip, sip on signature drinks, and savor tasty delights at W Los Angeles - West Beverly Hills’ WET deck. 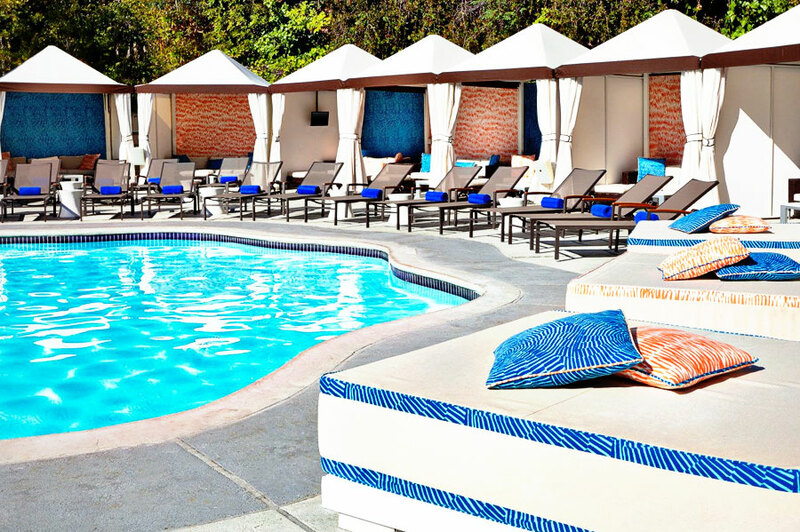 A peaceful oasis set among palm trees, lush florals, and the sounds of a trickling waterfall, the unique and stylish Beverly Hills pool is the perfect retreat from LA city life. 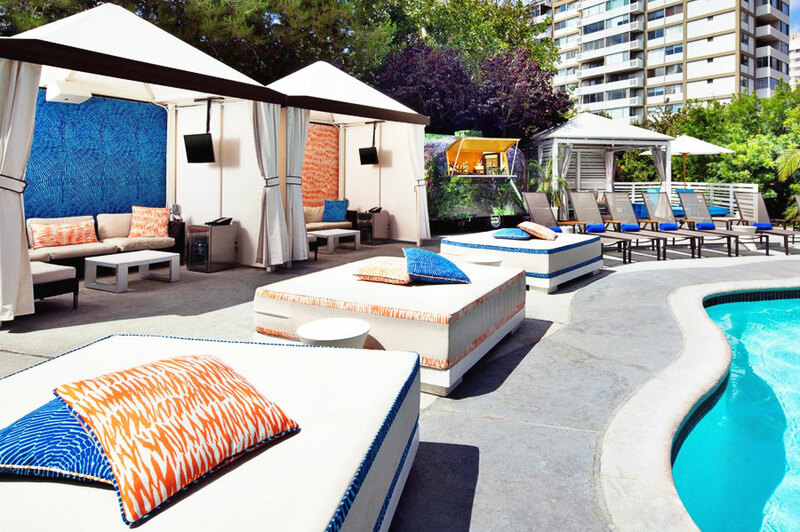 Soak up the sun in a chaise lounge or poolside daybed. Enjoy cool cocktails and yummy bites poolside. 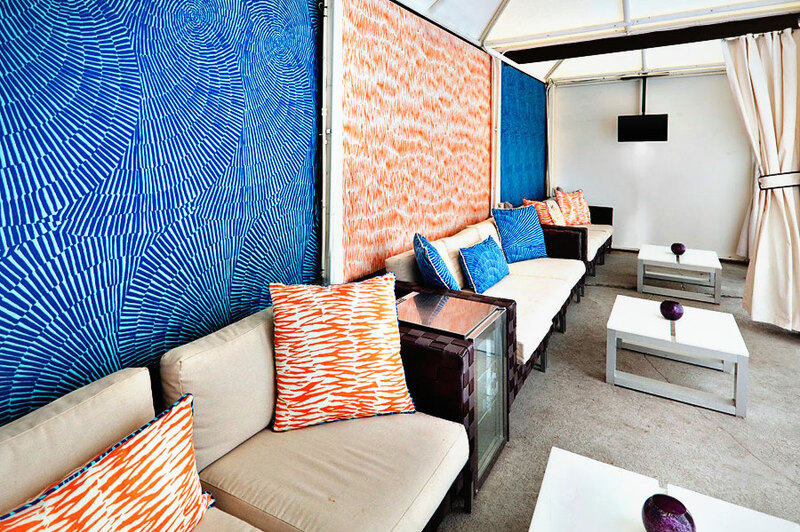 For the ultimate luxury experience, book a private cabana for extra amenities and comfort. 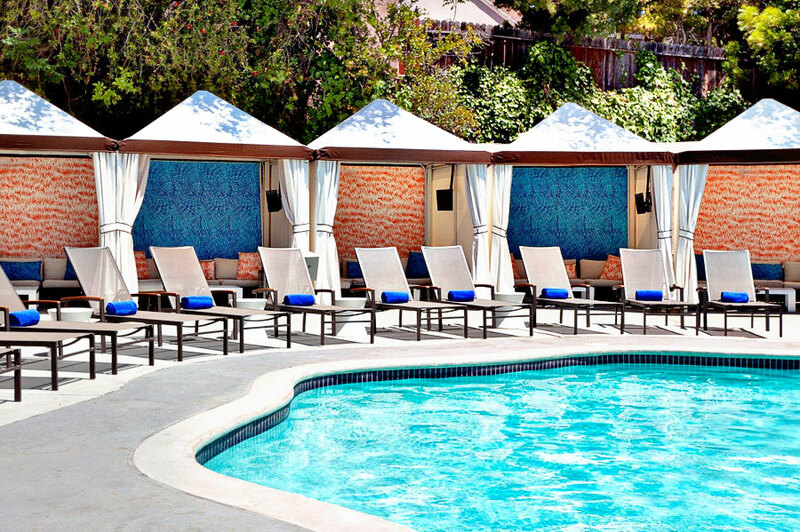 A "daycation" at the glamorous and chic W Los Angeles in the gorgeous upscale neighborhood of Beverly Hills is the perfect escape into complete luxury and relaxation. Day Passes are reserved for adults 21+ only. Children not allowed. 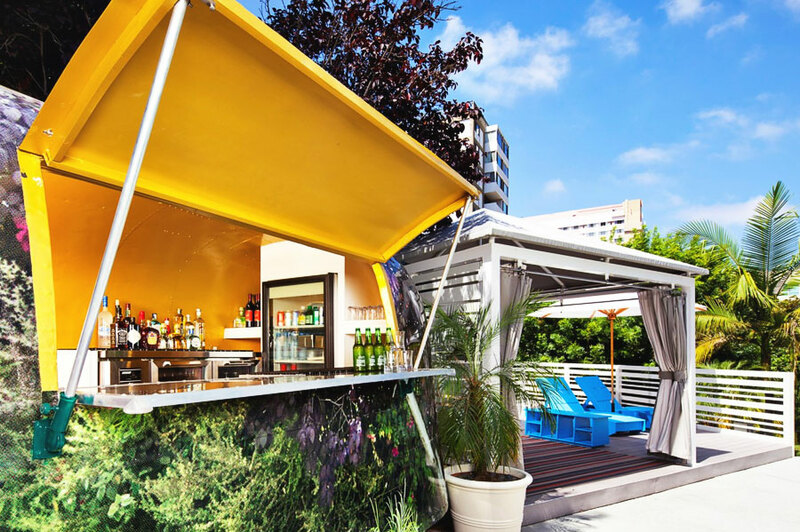 March 22, 2019 Susan von S.
We had such a fun day with our cabana at the W pool! The food was yummy, the service was fantastic, the pool warm and had fun pool toys. Drinks weren't too expensive. The music was great. Everyone had a super time. Hopefully, our friends will be DJing this coming summer and we'll be back for some weekend hanging and another bday party! November 4, 2018 Jennifer C.
We had a great day at the W Beverly Hills. When we arrived and said we had a resort pass we were warmly welcomed and escorted to the pool, provided with sunscreen, towels and an offer to send over a server. We had a delicious meal and enjoyed a very relaxing afternoon by the pool. It filled up by early afternoon but never felt over crowded. Would definitely go back! October 20, 2018 Diane T.
October 19, 2018 Diane T.
Best place to getaway for the day! October 15, 2018 Chloe L.
Fabulous location, services, and amenities! Could not be a better way to spend the day. October 11, 2018 Michelle B. The service was great. The music by the pool was a little bit loud but overall it was a good experience.